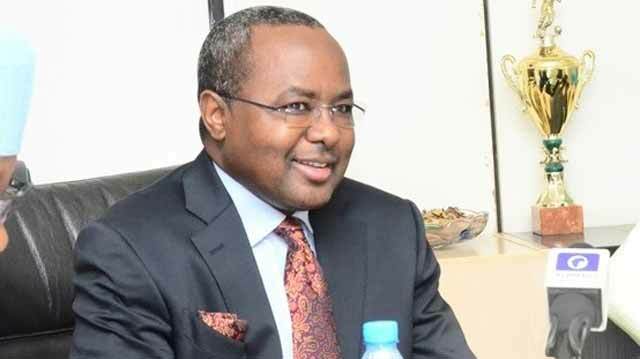 Festus Keyamo, Senior Advocate and Human Rights lawyer, on Wednesday warned against politicizing the investigation of suspended Director General of the Securities and Exchange Commission, SEC, Mounir Haliru Gwarzo. “However, I woke up this morning and read of the attempts by the House of Representatives, some individuals and even media outlets to reduce this laudable investigation of alleged graft to a mere political witch-hunt by linking it to the on-going probe of Oando Plc. “The clear objective of these political jobbers is to intimidate the agencies investigating the suspended DG of SEC into abandoning their mandate and ultimately erode the confidence of the Nigerian public in the eventual outcome of the investigations. “Did the suspended DG of SEC pay to himself the sum of N104,851,154.94 (One Hundred and Four Million, Eight Hundred and Fifty One Thousand, One Hundred and Fifty Four Naira, Ninety Four Kobo) as ‘severance benefits’ after for his elevation from Executive Commissioner of SEC to DG of SEC despite not having completed his tenure as Executive Commissioner? “If this is true would it not be in contravention of Section 1 of the Code of Conduct for Public Officers set out in the Constitution of the Federal Republic of Nigeria, Section 19 of the Corrupt Practices and Other Related Offences Act and Sections 122 and 311 of the Penal Code Act, Laws of FCT? “Did the suspended DG of SEC award contracts to companies like Outbound Investment Limited, Northwind Environmental Services and Micro-Technologies Nigeria Limited in which he and his cronies are both directors and shareholders? “If this is true would it not be in contravention of Section 1 of the Code of Conduct for Public Officers set out in the 5th Schedule of the Constitution of the Federal Republic of Nigeria, Section 311 of the Penal Code Act, Laws of FCT and Section 19 of the Corrupt Practices and Other Related Offences Act? “Did the suspended DG of SEC divert for his personal use the vehicles belonging to the Securities and Exchange Commission despite receiving the sum of N84,388,886.00 (Eighty Four Million, Three Hundred and Eighty Eight Thousand, Eight Hundred and Eighty Six Naira) as monetized car grant/allowance for four cars? “If this is true, would it not be in contravention of Section 1 of the Code of Conduct for Public Officers set out in the Constitution of the Federal Republic of Nigeria, Section 311 of the Penal Code Act Laws of FCT and Section 19 of the Corrupt Practices and Other Related Offences Act? “Whilst Nigerians anxiously await the Report of all the investigations into the Securities and Exchange Commission, I also urge the relevant agencies to continue the transparent and thorough probe of the issues surrounding Oando Plc. “The Oando Plc probe should not be scuttled on account of the investigation of the suspended DG of SEC because the Oando probe and the SEC investigation are mutually exclusive despite the attempts to link them together. “The posers raised above agitate the minds of all well-meaning Nigerians who are eagerly awaiting the thorough and speedy conclusions of all investigations.